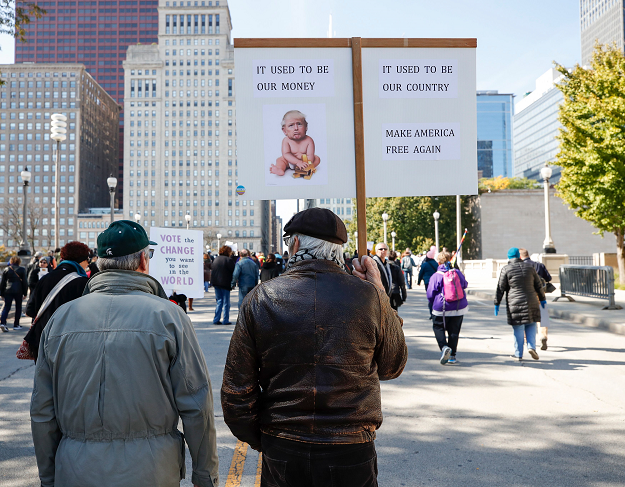 CHICAGO: Thousands of people made their disdain for President Donald Trump heard Saturday at a rally and march in Chicago aimed at galvanising support for Democrats in the upcoming November midterm elections. A giant “Baby Trump” flew over the crowd. Trump was depicted as “El Diablo” on a high-flying flag. 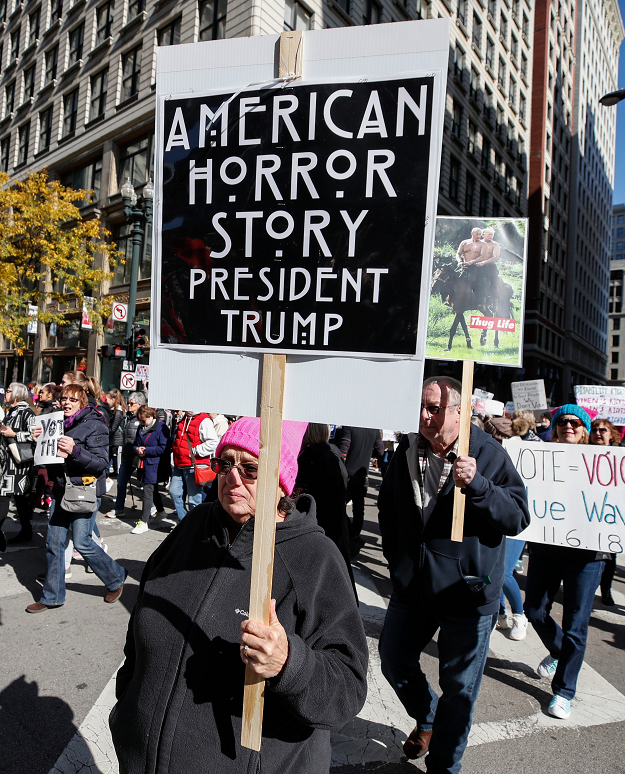 Demonstrators waved “Vote Blue” banners–the message was unmistakable. 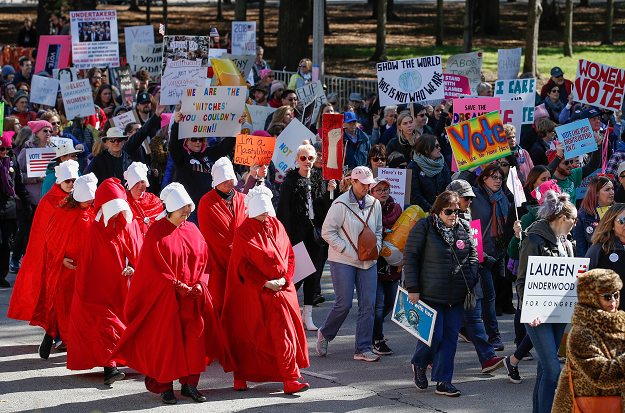 Angered by the bitter fight over new US Supreme Court Justice Brett Kavanaugh and what they called the “anti-woman agenda” of the Trump administration and the Republican Party, women–and men– descended on the Windy City’s picturesque Grant Park. 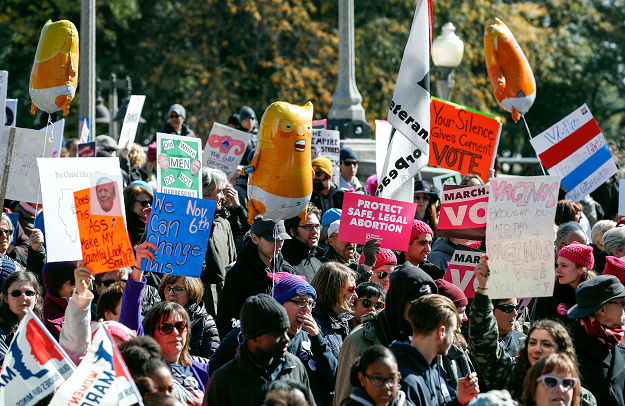 The “March to the Polls” event–which began in the downtown park and wrapped up after a two-blocks-long crowd marched to the center of the business district–came just as voter registration deadlines neared in most states and early voting ramped up in more than a dozen states including Illinois. Saturday’s demonstration included a street festival-like “Voter Village” where dozens of community groups and politicians set up booths to reach new voters and encourage political involvement. 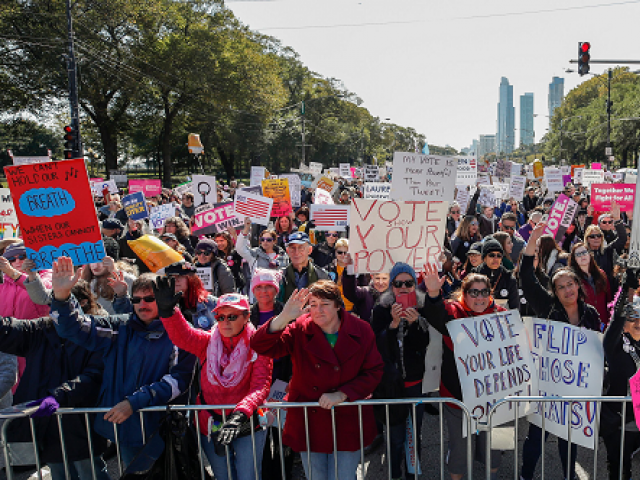 “We wanted to lead into the midterms and encourage women to get out and vote,” Jessica Scheller, head of Women’s March Chicago, which organised the event, told AFP. Iyahna Wilson, a 19-year-old volunteer who assisted in the march, voted for the first time–motivated by racial justice issues and gender rights. “I never really thought that my vote was going to make a change,” Wilson told AFP moments after she exited a downtown polling location, raising her hands up in celebration. It is that mindset that organisers were fighting to change with an event they specifically aimed to take place in the run-up to the midterm election. The 23-year-old from the nearby Republican-dominated state of Indiana was the type of voter organisers were hoping to encourage to get involved. She was carrying a “Grab ’em by the midterms” sign–a play on an infamous remark made by Trump. The Chicago rally symbolised the political rancor generated by the partisan fight over Kavanaugh’s confirmation despite sexual assault allegations and powerful testimony against him by his accuser Christine Blasey Ford. Republicans currently hold the White House and both chambers of Congress, but many in the party fear anti-Trump voters will overwhelm the president’s supporters in the elections, pushing the House–at least–over to the Democrats. Chicago organisers insisted their event did not favor any one party, even though funding came largely from trade unions and Democrat-aligned groups.